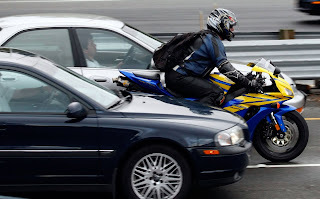 Motorcycle safety is always on everyone's mind! The ability to remain safe on the road and away from danger is extremely important. Everyday factors such as automobiles, animals and road hazards consistently keep the motorcycle rider at risk of accident or serious injury. Motorcycle protection is also important. Keeping your engine and other vital parts safe and in tact is crucial to keep costly repairs down to a minimum. Motorcycle fairings offered by NiceCycle give the rider a sense of security knowing that their bike is protected by the best bodywork offered in the industry. Kawasaki Ninja 300 Windscreens - In Stock!